We won't let issues with your credit prevent you from driving the quality vehicle that you deserve. Our NO CREDIT CHECK financing is tailored to you. That's why we don't set minimum down payments and payment amounts like the other guys. Because we are the bank and never sell our loans we have more control over your deal, and can be more flexible with our terms. We work hard to explore all of your options and get you into the vehicle you want at a price that meets your budget. View our online inventory today, choose your vehicle, and either call us or submit a quick online application. You'll be driving away in your new vehicle in no time at all! Get started now! Our easy online application only takes about one minute to complete. Click below to get started! 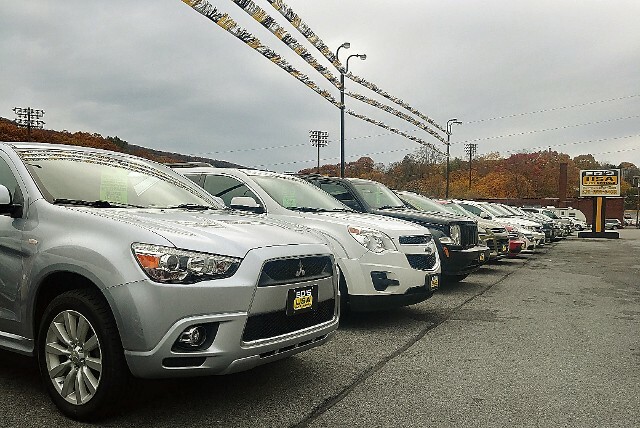 Our unique financing program makes owning a quality vehicle quick and easy!